Purifying the set of Terror of Mechagodzilla. :) :). Wallpaper and background images in the Godzilla club tagged: photo mechagodzilla titanosaurus godzilla. 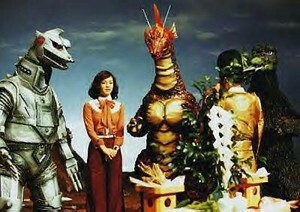 This Godzilla photo might contain 애니메이션, 만화, and 만화책. The new cast of Modern Family, LOL!! !